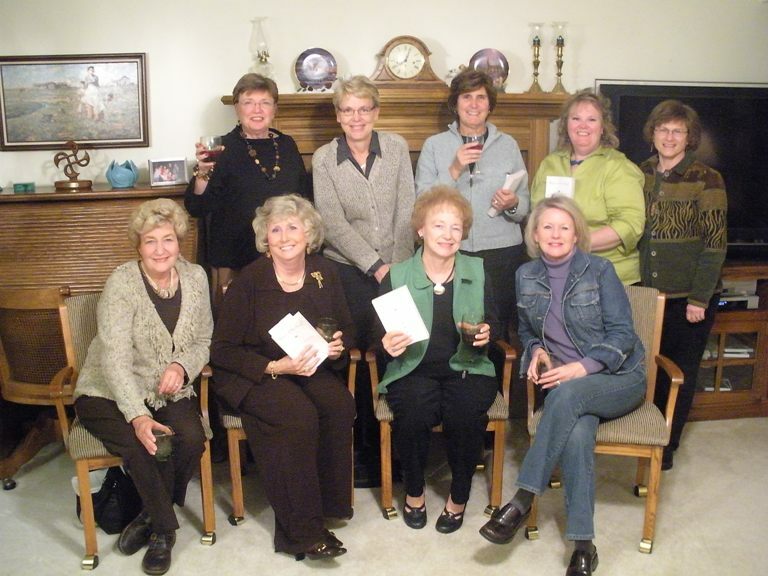 That's what this lovely book club in North Platte, NE calls themselves. They got the name from Lance Armstrong's book (which, as it so happens, my fabulo editor, Stacy Creamer, edited). Like my own club, they discuss the book, but then, as they put it, "digress" since they're all friends. Wouldn't have it any othe way, myself. I think the best books teach us something about ourselves we didn't know. Well, I don't know if my book did that for this Nebraska club, but my phone call sure did. I like starting the calls by asking everyone to go around and introduce themselves. And, guess what? In doing so, Julie realized she was the only club member who was not a teacher. Unfortunately for her, she used to work in mental health. But, let's not feel too bad for Julie, as like almost everyone else in this group, she's retired! (Deb, the hostess being the exception. But, don't feel too bad for her, either: she's retiring next year.) I guess that's why they all look so relaxed and happy. Most of the retired teachers in this group taught English, so the heat was on. Do you have any idea how intimidating that is for a writer? Fortunately, this group was very kind about QUEEN OF THE ROAD. Or, maybe they were just being polite. I did say they're from Nebraska, didn't I? If a book club of English teachers from my former home of New York City ever wants me to call in, forgetaboutit! This page contains a single entry from the blog posted on November 15, 2009 6:30 PM. The previous post in this blog was West Chester, PA Book Club. The next post in this blog is Cook It or Kill It?.